Man3000 hosts webinars every two weeks for Desktop clients in an effort to help them comprehensively understand and better utilise the Man3000 Desktop software. These presentations will cover all the basics on how to navigate the Man3000 software to find all the information you need quickly and efficiently. This also allows all participants to raise any questions that they may have. You will be required to fill out some information in the booking form. *Your Man3000 Serial number will be located at the bottom of your Man3000 software, please see the image below. 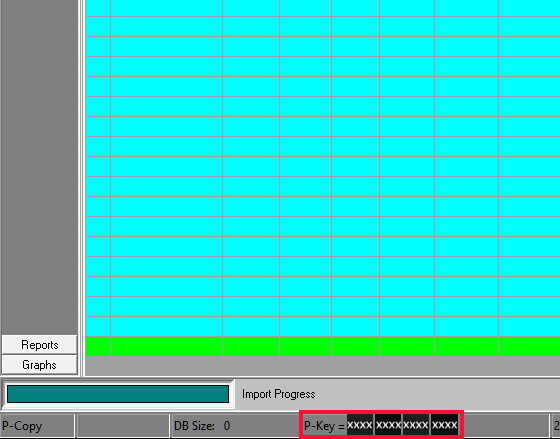 In the example below, the image has a “P-Key”, your serial number may be a “B-key”, “M-key” or “S-key”. The 16 digits is the required serial number. What will I need to attend the webinar? When must I join the webinar? What must I do if I am struggling to join the webinar?